A well established species. 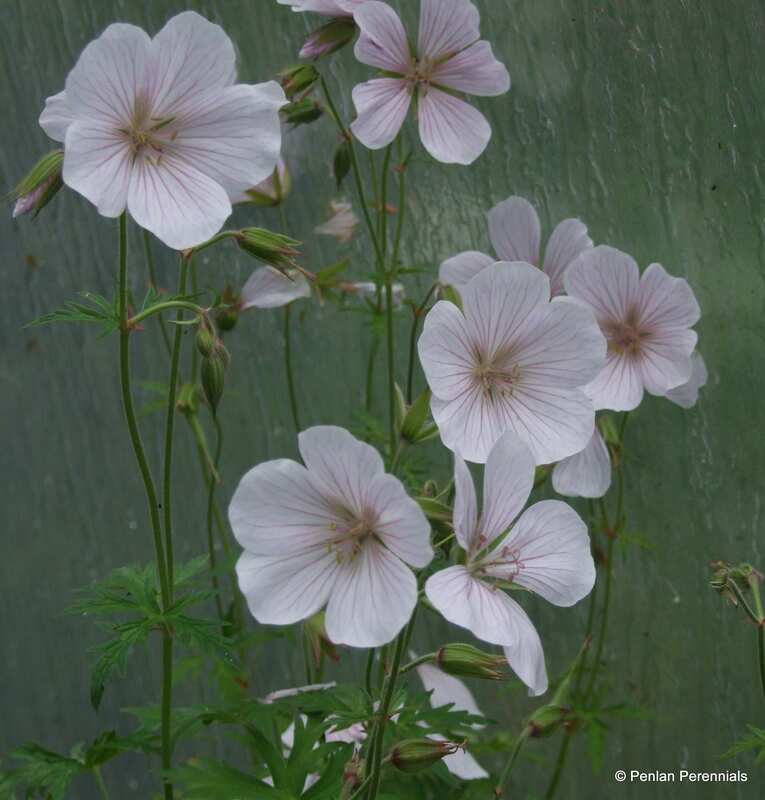 This hybrid has large translucent white flowers, beautifully veined with pink, which are borne on and off throughout the summer. 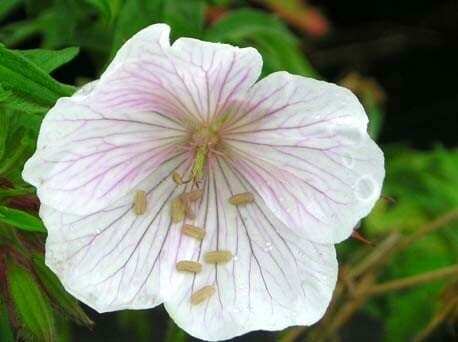 It forms bold clumps of heavily dissected leaves and is always much admired when in flower. Drought tolerant once established, but we have found it seems to prefer a slightly moist soil. 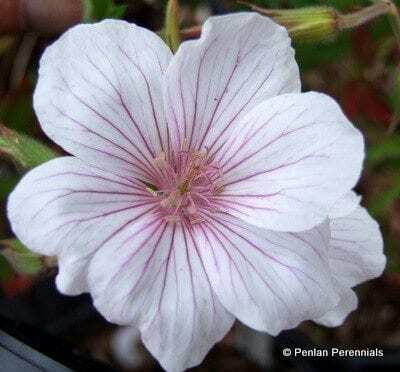 It associates particularly well with silver leaved plants. AGM. Hardiness rating H5. Will repeat flower in September if cut back hard in July. Propagate by division in spring. Pest and disease resistant.